Please, use the get in touch with information provided at each pool profile. 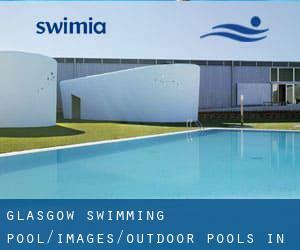 Swimia.com has essentially the most up-to-date database about Outdoor Pools in Glasgow. Most on the Swimming Pools provide both open lanes for independent swimming and also guided activities like water aerobics or aquabike. 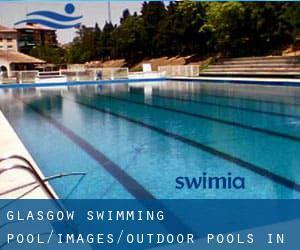 Thanks to some new Outdoor Pools in Glasgow submitted every day, Swimia.com is increasing day-to-day the number of stored pools. Please do not hesitate to contact us in the event you uncover any inaccurate or incomplete data. There are normally discounts accessible to senior citizen and tiny children. Discover by contacting your nearest pool in Glasgow. The greatest pools to swim are definitely indoor olympic pools. East Acton Lane , Acton , London - West , England , UNITED KINGDOM (Postal Code: W 3 7HB). This sports centre offers 25 meters x 11 meters, 6 lanes, Outdoors. Contact info for this Swimming Pool for example phone number and e-mail address are number. Tooting Bec Road , Tooting , London - South , England , UNITED KINGDOM (Postal Code: SW16 1RU). Swimmers like you reported 91.5 meters x 33 meters, Outdoors. Unfortunately we do not have the email address of this Pool, but we can provide you with the phone number. 32 Endell St. , Bloomsbury , London - Central , England , UNITED KINGDOM (Postal Code: WC2H 9AG). This great and large sports centre lets professional swimmers like you enjoy 27.5 meters x 9.8 meters, 3 lanes, 0.9 meters - 3.5 meters depth, 0.9 meters - 3.5 meters depth, Outdoors. Additionally, within these facilities you can try 25 meters x 8 meters, 3 lanes, 1 meters - 2 meters depth, 1 meters - 2 meters depth, Indoors. Unfortunately we do not have the email address of this Pool, but we can provide you with the phone number. 161 Banks Rd , Sandbanks , Poole , England , UNITED KINGDOM (Postal Code: BH13 7QL). Among all of the activities offered by the centre, should you be enthusiastic about swimming you may appreciate 17.5 meters x 6.5 meters, 1.1 meters - 2.2 meters depth, 1.1 meters - 2.2 meters depth, Outdoors. Just in case you need to contact this Pool just before dropping by, we only know the phone number. 269c Woodstock Road , North Oxford , Oxford , England , UNITED KINGDOM (Postal Code: OX2 7NZ). Few days ago a standard user of this centre told us they offer 25 meters x 8 meters, 3 lanes, 1.5 meters uniform depth, 1.5 meters uniform depth, Indoors. Furthermore, they keep in good conditions 20 meters x 8, Outdoors. For this Pool, only phone number is number here. Oakfield Place , Clifton , Bristol , England , UNITED KINGDOM (Postal Code: BS 8 2BJ). This sports centre gives 25 yards, Outdoors. Contact information and facts for this Pool including phone number and email address are number. 1 Thames Valley Park Drive , Thames Valley Business Park , Reading , England , UNITED KINGDOM (Postal Code: RG 6 1AD). Swimmers like you reported 25 meters x 10 meters, Indoor/Outdoor. Unfortunately we do not have the email address of this Pool, but we can provide you with the phone number. High St. , Hampton , London - West , England , UNITED KINGDOM (Postal Code: TW12 2ST). This sports centre gives 36 meters x 14 meters, 6 lanes, Outdoors. Contact information for this Pool for example phone number and email address are number. Drayton High Road , Hellesdon , Norwich , England , UNITED KINGDOM (Postal Code: NR6 5DU). Swimmers like you have reported 25 meters x 18 meters, 3 lanes, Indoors. Also, you will find 20 meters x 8 meters, Outdoors. Just in case you want to get in touch with this Swimming Pool prior to dropping by, we only know the phone number.